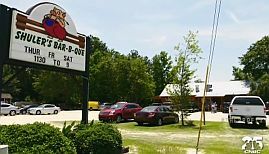 In this episode of the profit, Marcus visits a one-stop shop sign manufacturing shop called ASL Sign Sales & Service located in Surfside Beach on the South Carolina coast. Back-lit, front-lit and neon-lit signs. Anthony Leggio the owner, is a self-professed go-getter. He’s a go-go guy and incredibly ambitious. He wants to become the biggest signs vendor in the state, stop dealing with small mom and pop shops and go national. Is this episode going to be another delusion of grandeur situation? ASL Signs as a business is doing pretty well thanks to its huge margins. In its 2nd year of operation, it generated a revenue of USD300,000 with a profit of around USD45,000. Antonio, however, is not satisfied and wants much more. As the business already owns great infrastructure and machinery, Marcus believes that the real way to increase the business will be to work and think smartly, more efficiently and grow strategically. Total chaos in the sign showroom. A disorganized business process from sales to production. Short temper and disrespect by Anthony. So even with all of his confidence, it looks like Anthony doesn’t really know the exact steps to take in his business to create a functioning process. He didn’t even know what to do when a client came into the office asking for a refacing of his advertising sign. He looked totally lost at a sign of the potential customer. To be fair, ASL Sign Sales & Service has a very clean financial situation with a lot of money in cash receivables and not too much debt. That is if you don’t count the USD200,000 investment from Anthony’s father. Marcus is impressed with the growth and management of the business and I think it’s all thanks to Kristins’ management so it’s a shock to know that she doesn’t even have an equity stake in the business nor does she take a salary. Marcus sits down with Anthony and Kristin to find out why he was called to the seemingly healthy business. Anthony tells him of his expansion dreams. He was to tap into Marcus’s rolodex and influence to be able to get the bigger clients that he feels the business needs to explode. 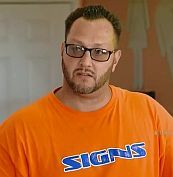 Marcus reveals that he wants to get into the signs business simply because of how lucrative it is. The question is if Anthony’s business is the right one to partner with. Marcus decides to hold off making a deal so he can look more into the business and see if he can change and improve the process. If he feels the time is right then he would offer ASL Signs a deal. Looks like Marcus has learnt from his bad business experiences with previous episodes of the profits. He’s holding onto his money until he sees that investing is the right move. Improve the presentation of the signs inside the shop. So Anthony just can keep his mouth shut even in front of a client and a potential sale. He tells Marcus that he wants neither a deal nor his money all he wants from him is his (signs) business. Jeff, a previous client of ASL Signs contacted Marcus via Facebook. He warns Marcus about the bad reputation Anthony has in the small town and tells him he personally wasn’t satisfied with the work done by ASL Signs. Anthony even sued Jeff instead of refunding him (just USD600) for the sub-par work done. Marcus calls together the key members of ASL Signs and tells Anthony that he will grant him his wish of not getting any money from him. He refuses to make a deal with Anthony and walks out the door. Anthony breaks down and apologises to his family. Too late now, because Marcus has walked out of the door and sometimes you don’t realize what you haven’t you lose it. So the go-getter ends up not getting anything this time. As this business is related to mine, I found it fascinating. Anthony has both many talents and many flaws as most of us do. If only he could have listened to the advices that Marcus had to offer, he would have been wildly successful. One might wonder after Marcus left if Anthony followed through some of the myriad of suggestions that were offered freely to him. So a long time friend of mine was hired at ASL some time ago and from what I’m hearing nothing has changed, everyone is doing great work but Anthony is taking out his frustrations on them without being a leader. It is even taking its toll on his relationship with what is referred to as his significant other, Kristin… Wife but not referred to as a business partner with all the work she does. Anthony appears to wanna be another Trump but his advisors haven’t gotten through to him, so he continues to flounder. An under educated New York Millennial working with daddy’s money. Now I will watch the actual show…. yep, nothing has changed.